Performance, safety and quality in a wing for all pilot levels. The AirDesign commitment to combine performance with comfort and manageability was key during the design of the RAMA Flex. The RAMAFLEX delivers the performance to satisfy progressing skill levels, whilst keeping the inherent stability required for beginner and intermediate pilots. We wanted first to design a glider that would be remarkably easy to forward and reverse launch in nil wind conditions, perform in flight with exceptionally responsive toggle and wing tip steering, and land with the buoyancy and smoothness that you would expect from a paraglider wing. RAMA Flex is designed for the active beginner pilot who has goals to continue to expand their flying experiences and the RAMA Flex bridges the separation between a true beginner wing and an intermediate performance wing. As the name suggests the RAMA Flex uses a semi reflex platform and is truly designed for all pilot levels. The RAMA Flex inflates progressively without tendency to surge in stronger wind or in aggressive trike launches. In flight, the wing is responsive to brake input but without the hypersensitivity found in many performance gliders. The wing tip steering allows the pilot to make dynamic and efficient turns. Streamlined risers with no split A’s and the wing tip steering toggle, neatly tucked out of the way. The neoprene covering on the adjustable brake handles add a level of comfort and fit for pilots having to manage flying with gloves and throttle in hand. The dual pulley system allows for low and high attachment points. With trim tabs released the glider transitions to a semi reflex profile which increases speed and wing pressurization as the wing’s center of gravity shifts forward. This shift inherently makes the glider more stable. Careful attention to minimizing any roll and pitch tendencies during flight allows the pilot to enjoy a calm, controlled flight even in rougher weather conditions. • Set up for a forward and the RAMA Flex came right over head and was really stable with little to no roll effect in mild bumps. Very nice. then copy the link below into the "personal colour link" text box there is an extra £150 charge for personal colours. 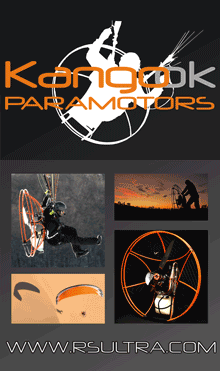 Hi i have est 500 air hours flying paramotors. I am a average pilot and I have a dudek reaction tst, a macpara eden 3 and a dudek nucleon. 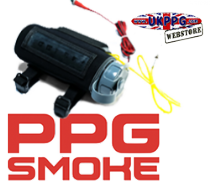 I asked for a demo on the ramaflex at the UKPPG site. 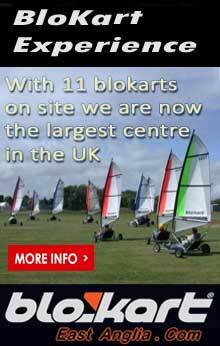 When having a demo either on a new wing or new paramotor its like choosing for a car, color, price handling, safety etc. Anyway I had the demo twice. A very easy wing to kite. I had to change my handling of the wing when kiting. I needed to be more gentle. Nice and steady and no need to rush. Its very different to my dudek nucleon. When flying the ramaflex by airdesign I pulled a few mild wing overs and small spirals. When landing just slight pull down with brakes made a huge difference and plenty to spare. I even had a engine out on the second demo and while on the radio I spoke to Nigel the instructor and he said don't bother with restarting just glide back...its all on video. good wing. No clutter of the risers, safe and secure and i was well happy :0) the tip steering toggles i felt needed to be fixed by magnet holders but thats my own view. I wont be getting another dudek nucleon. I'll be saving for a ramaflex. Hi Tony, Thank you for your review on the RamaFlex, just so you know the RamaFlex has already got the Tip Steer Magnets fitted and as you rightly said in your review the risers are so uncluttered that you didn't even notice them. They are located inside of the neoprene Tip Steering Sleeves that you pop the Tip Steering Toggles back into and they automatically stick to the Magnets that are on the Toggles. Just like Magic.